this is a sponsored post written by me on behalf of jord wooden watches. all opinions are 100% my own. i’ve always been a watch person. both my parents are and from little on, i’ve always had numerous watches. it only made sense to me because i always got so nervous, especially in high school, that i would be late to a class, meeting, etc. these days i still wear a watch everyday and i’m still more often than not late, but that’s really just the way it goes when you have children. many years back when i met my husband, he was not a watch kind of guy. he never wore them and honestly i don’t think he even owned one. (this little tidbit blew my mind because i had upwards of six.) 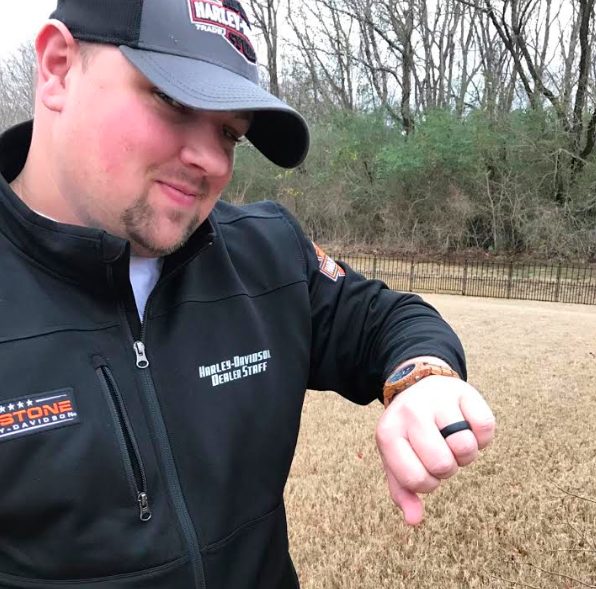 throughout the years though he’s gravitated toward them, especially when he finds a real sharp looking one, and he now wears a watch on a daily basis. with the holidays coming up and all the places we have to be, wearing a watch is a must. we’re already late to everything (two kids…need i explain more) but we sure as heck can try to stay on time. 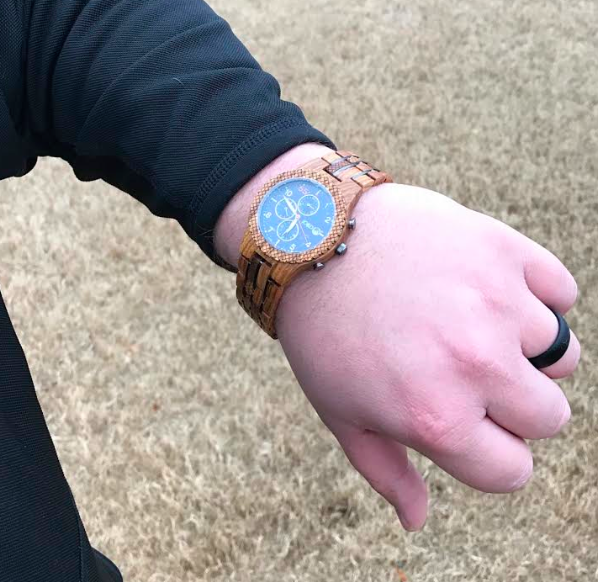 one of andrew’s newest additions to his watch collection is from jord wooden watches and i couldn’t love it more. it looks so classy and completes any outfit. with all the pictures that are going to be taken and the dressy clothes that are going to be worn with christmas and new years just around the corner, i love that this watch won’t be an eye soar when we look back on pictures years from now. we were especially impressed with the packaging when it came in the mail. you can tell that any jord wooden watch is handcrafted with care and attention. 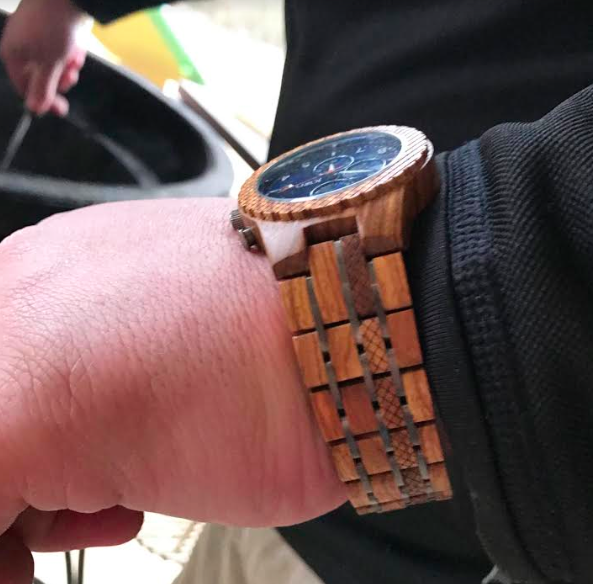 there truly is a lot of heart put into the making of a jord wooden watch. not only do jord wooden watches carry mens watches, but they also carry gorgeous watches for women. i’ve got my eye on a few already! time is a big thing i’ll be talking about more for 2017 and how our idea of it is going to change a little bit! 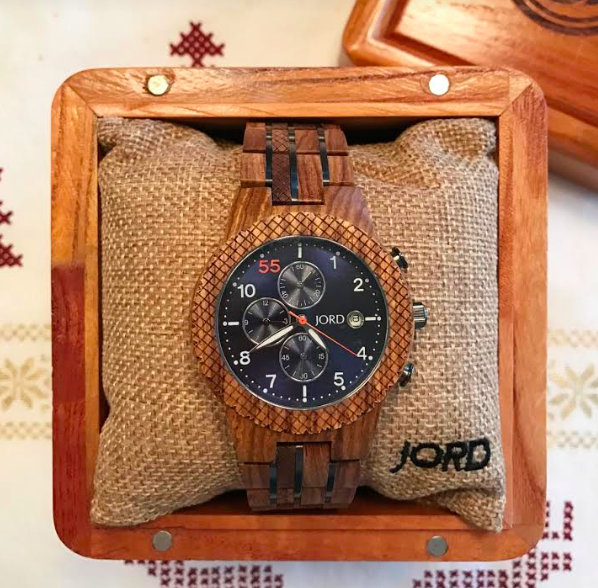 in the meantime, you can purchase your very own wooden watch for 20% off using the code you can request right here until 2/28/17 on jord wooden watches. Oh, I love this watch! The color is just perfect! What a sharp looking watch! Great choice! Love JORD watches! I have one and plan to get my hubby one soon! Great gift for a guy!